Future Genetics is a non-profit making precision medicine research company whose focus is simply the patient. We are focused on the discovery and development of disease biomarkers in areas of unmet clinical need. We as a society need a healthcare system that is able to provide the best and most appropriate treatments to different patients, and where individuals and families are sufficiently empowered to make life-style decisions that are based on their personal genetic-makeup. 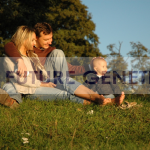 Future Genetics is committed to developing the means to help society live better and healthier lives. This goal of personalised-medicine will be achieved by us through the discovery of novel biomarkers that will transform future healthcare. Our work focuses on the discovery of genes that affect the quality of life and well-being of individuals and families. Our approach is to carry out innovative research that asks difficult questions. By asking these difficult questions, our aim is to find solutions that can meaningfully improve health outcomes in illnesses and diseases where there is a clinically unmet need. As a UK based company, our UK-based studies are designed to address medical challenges that are faced by the NHS. A key focus is to help reduce the challenge of health-inequality by running trials that include patients and healthy people across all communities and ethnicities. By doing this, we can then discover and potentially develop different therapies that serve the broad spectrum of people that represent the UK. We also believe that people should be made aware of the genomic revolution that is happening around us, and what the implications of this are for them and society as a whole. Some of our key values have been captured at an international biotech conference, where Future Genetics was invited by the organisers to give a presentation of what genomics may represent to the UK healthcare system. Areas covered in the presentation highlight some of the current challenges related to tackling breast cancer, diabetes, heart attack, stroke, dementia, Alzheimers disease, and the opportunity that NGS presents. Particular emphasis is placed on the importance of the NHS commitment to reducing healthcare inequalities.